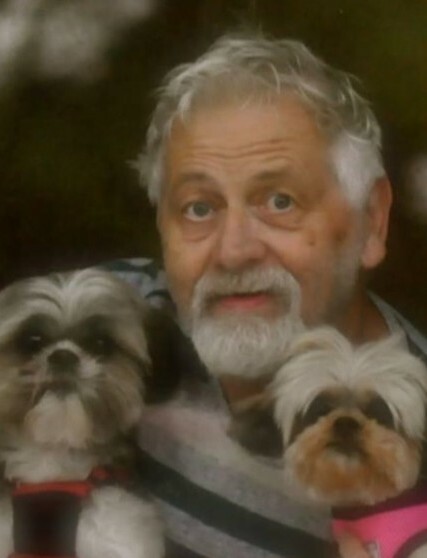 Kirby Alan Ooton, age 71, of West Chicago, passed away suddenly in his home on March 21, 2019. He was born January 10, 1948 in Litchfield, Ill. to James and Ardelia Ooton. He proudly served in the United States Navy during the Vietnam Era and was assigned to the U.S.S. Shangrila (1968). He served his country again in the United States Navy Reserve at Great Lakes Naval Base in 1978. Kirby pledged his forever to LouAnne Beardsley in 1998, and they were united in marriage on June 15, 2002. Kirby was a retiree and a master “Mr. Fix It” who enjoyed tinkering with just about everything, he was also a member of American Legion Post 300 of West Chicago. Kirby is survived by his loving wife, LouAnne; children, Kael (Meghan), Jessie, and Ian; cherished Pap of James Kenneth Rewers and the future Henry William Rewers; siblings, Jeanette, Ronald, James Jr., Beth (Bill), and Kenneth (Karen); second mother, Rita Beardsley; and bonus siblings, Karen, Jeff and Jennifer. He made up 25 percent of the exclusive “outlaw” group with Steve, Rebecca, and John. He also had many nieces (and greats and great-greats), nephews (and greats and great-greats), relatives and friends. Kirby is also survived by his two sweet pups Hank and Evie, along with his fur-grandbabies Toby, Sammy, Luna“tic” and Paisley. He was preceded in death by his parents, Ardelia and James; second father, Ken Beardsley; sisters, Sally, Robin and Jeanie; grandson, William Parker Rewers; nephew, Teddy; nieces, Jennifer and Marissa. Visitation will be Friday, March 29 from 4 p.m. to 8 p.m. at Norris-Segert Funeral Home at 132 Fremont Street in West Chicago (one block north of Washington St. & Main Street). A time of remembrance will take place between 6 p.m. to 8 p.m Friday. Funeral service will be held on Saturday, March 30 at 10 a.m. in First United Methodist Church at 643 E. Washington St. in West Chicago. Reverend Nancy Rethford will be officiating. Interment will be held privately. For information call (630) 231-0060 or www.norrissegertfh.com.